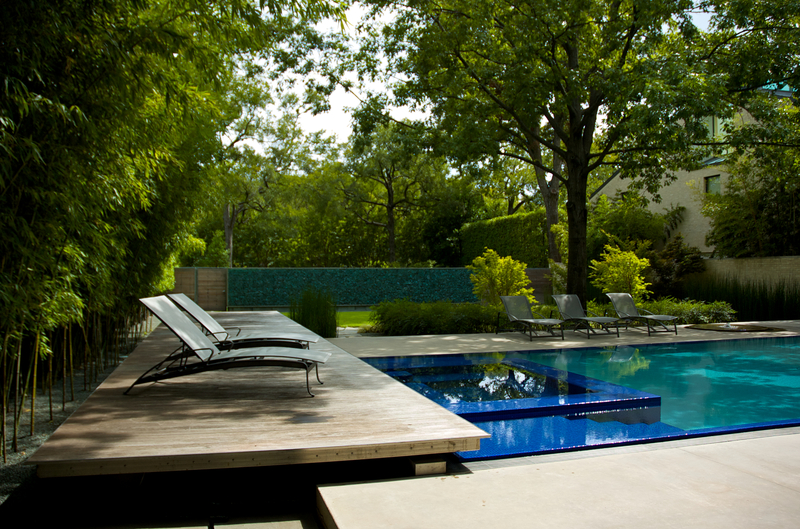 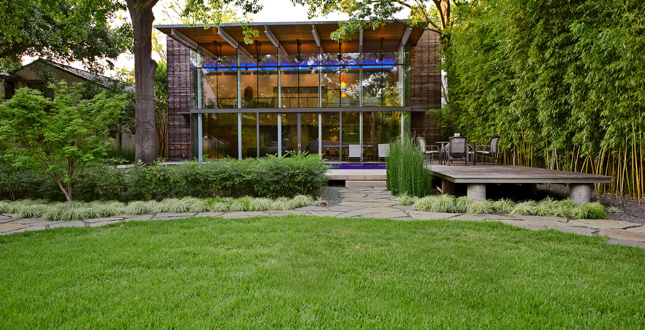 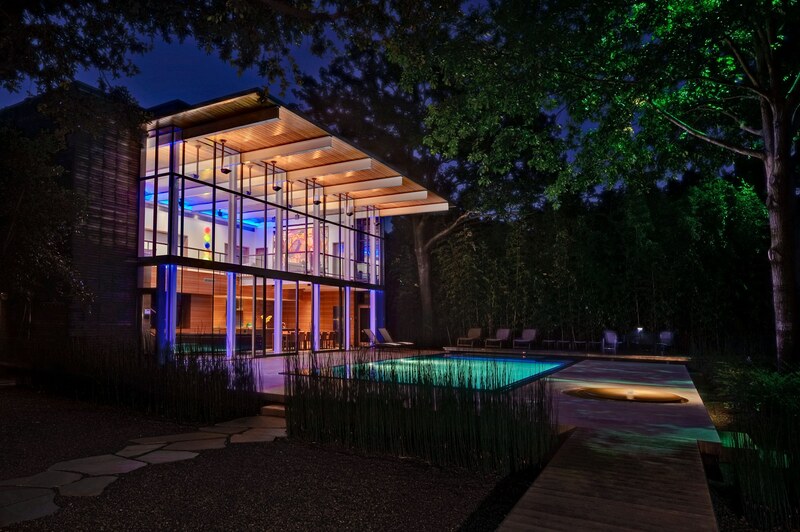 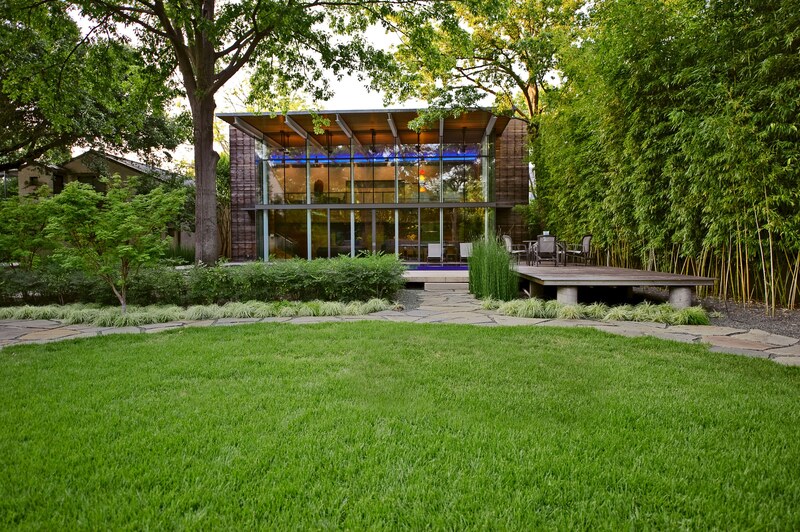 The Pool House serves as an urban retreat for an artist and car enthusiast who lives next door. 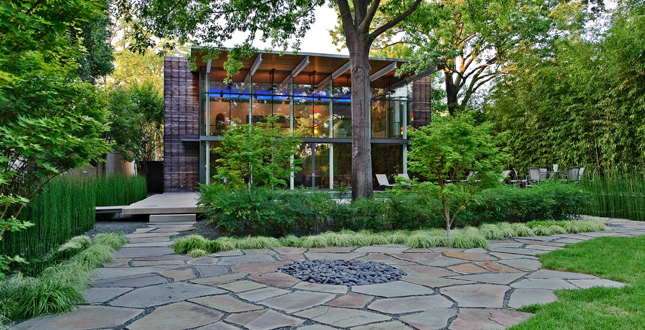 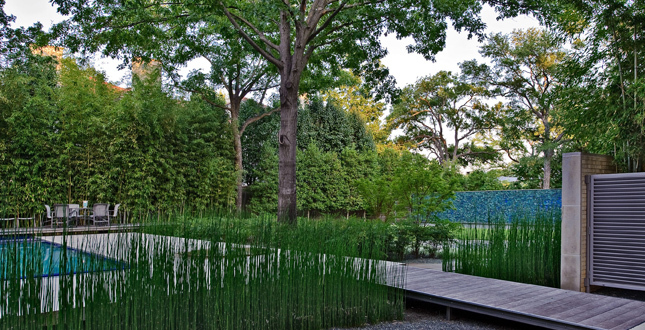 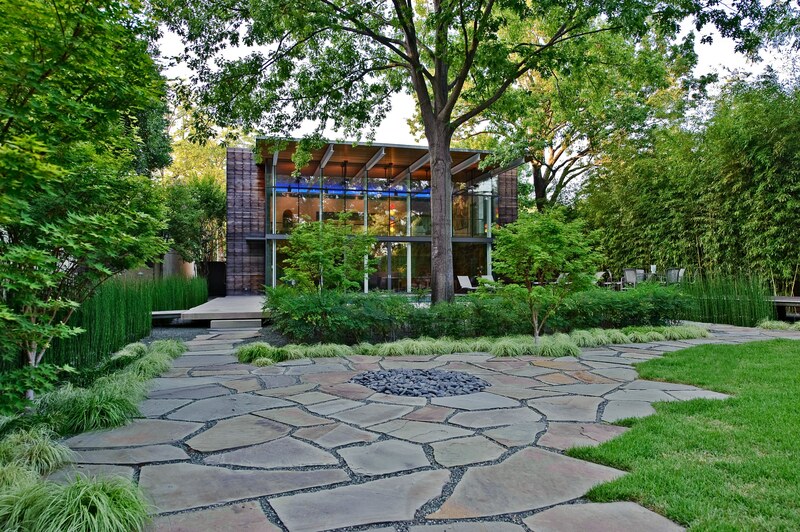 The project was an intense collaboration of architect, client, and landscape architect. 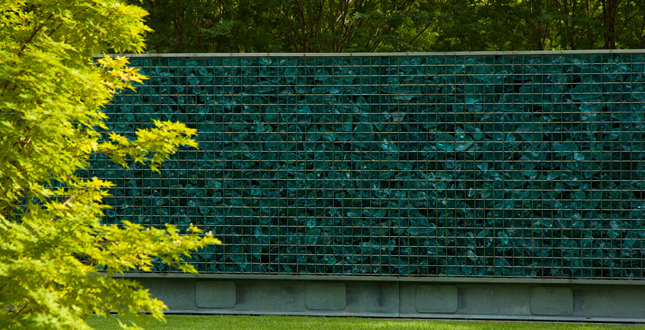 The central spine of the site is a six foot high glass slag privacy wall. 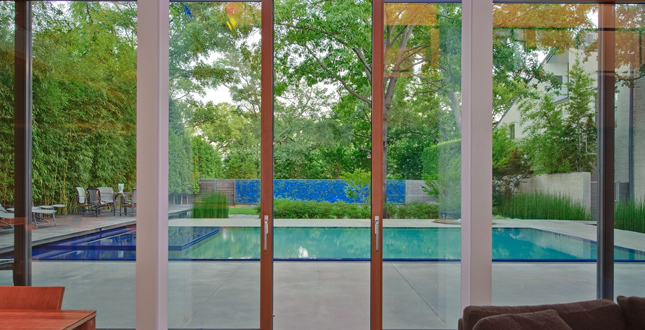 Seamless transitions between the inside and out were extremely important. 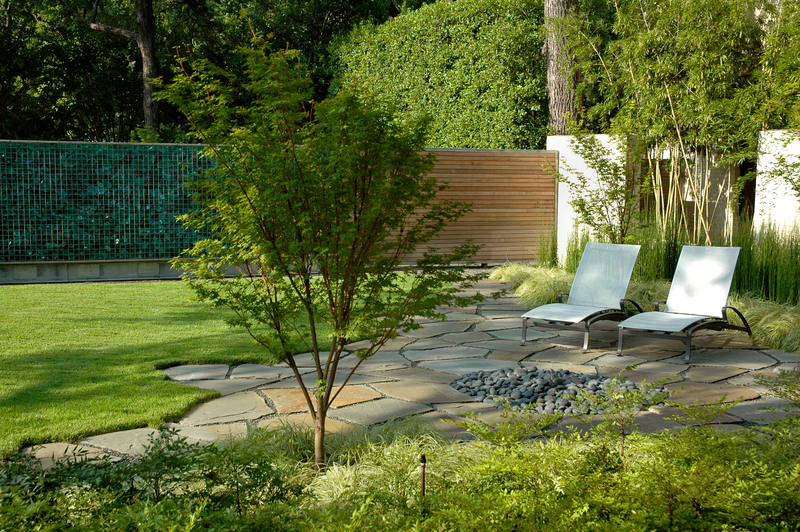 A minimal plant palette creates mass plantings used for large textural impact and screening for privacy. 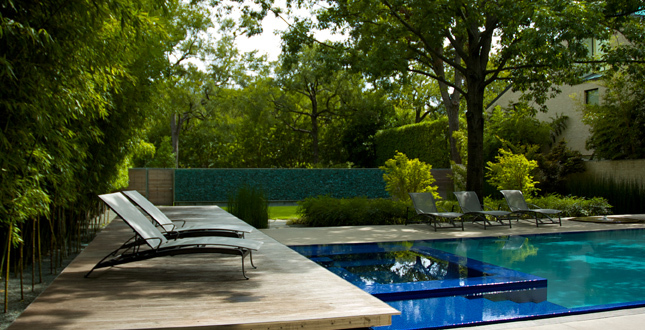 The Pool House serves as an urban retreat for an artist and car enthusiast who lives next door. 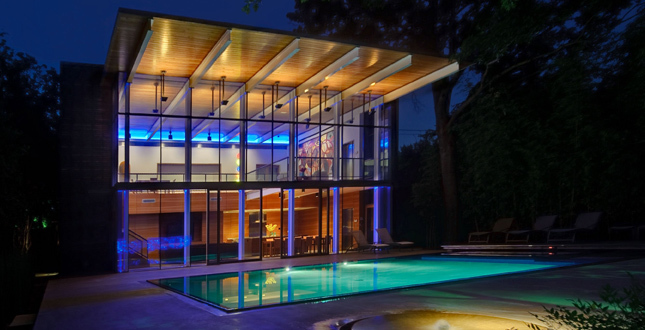 The Pool House functions as the center for family and social gatherings, successfully accommodating varying sized crowds. 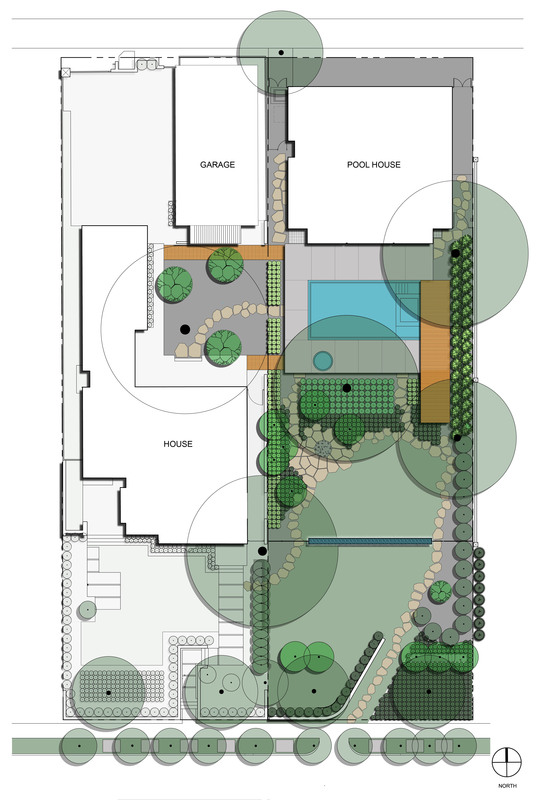 This two story box was tucked discreetly towards the rear of the site, creating a series of transitional garden spaces. 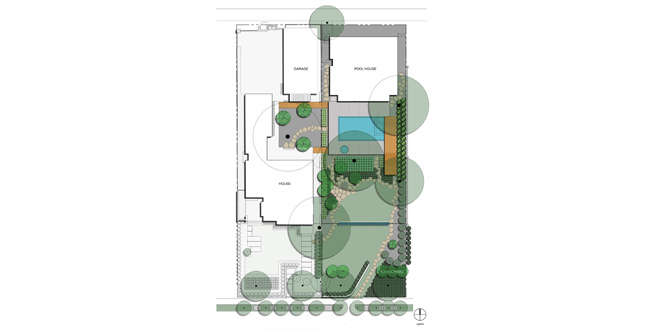 The project was an intense collaboration of architect, client, and landscape architect. 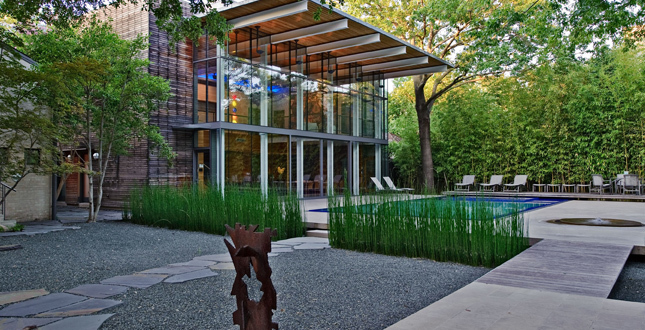 A great amount of thought and design was incorporated into every detail throughout the entire process. 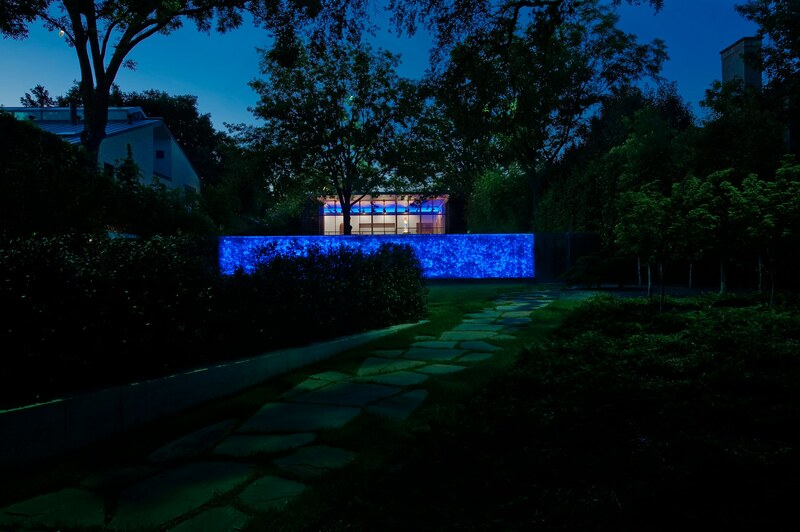 The client's affinity for the color blue was incorporated into several of the dominating elements within the garden and the house. 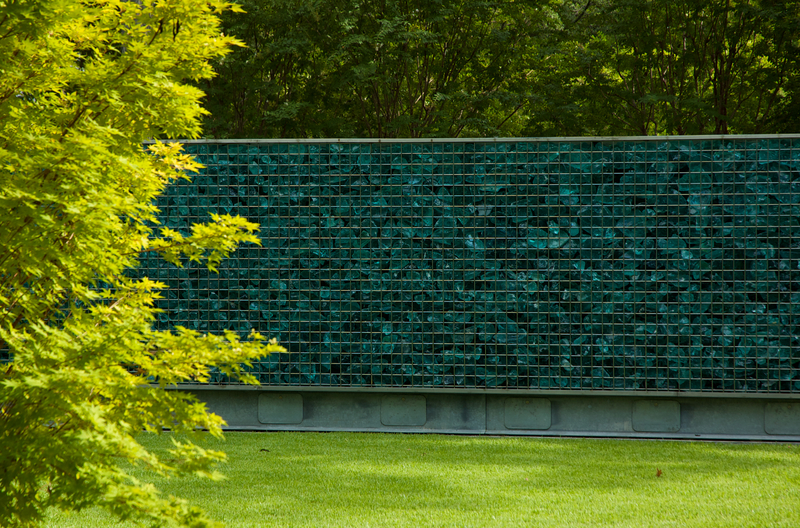 The central spine of the site is a six foot high privacy wall. 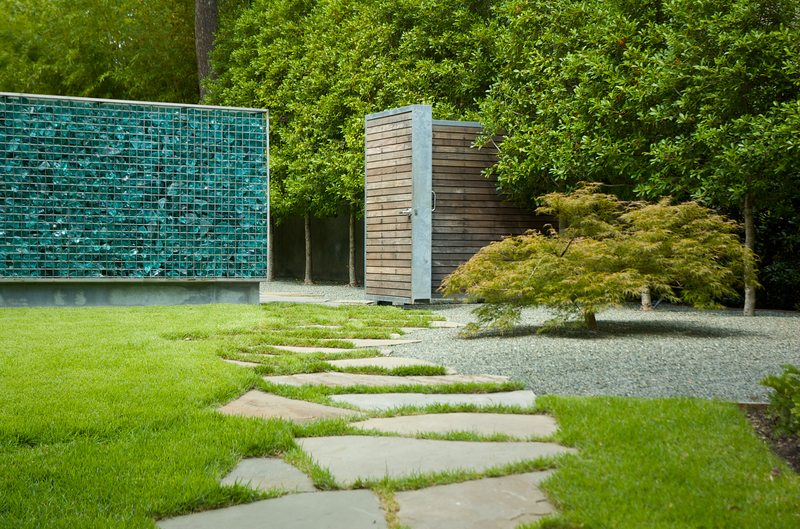 This sculptural element is a stainless steel cage filled with blue recycled glass slag. 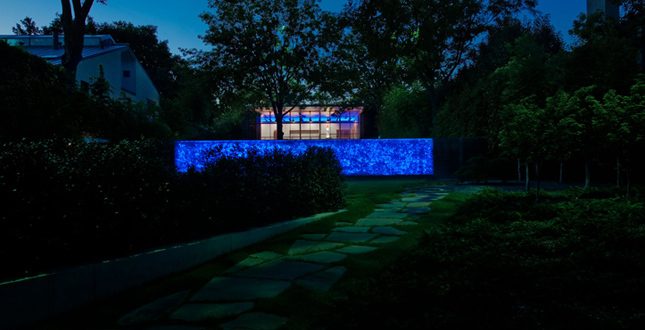 This element is lit from within, and emits a smoldering glow at night. 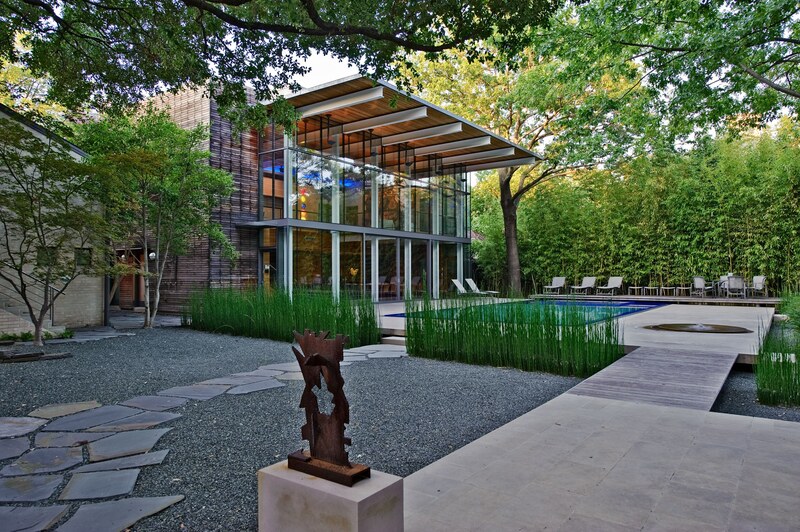 Seamless transition between the inside and out was extremely important. 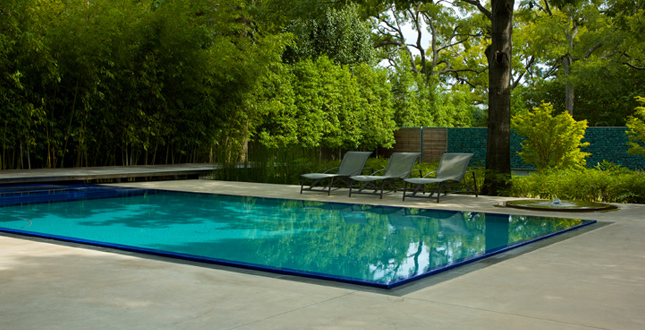 The Pool House sits on a concrete plinth. 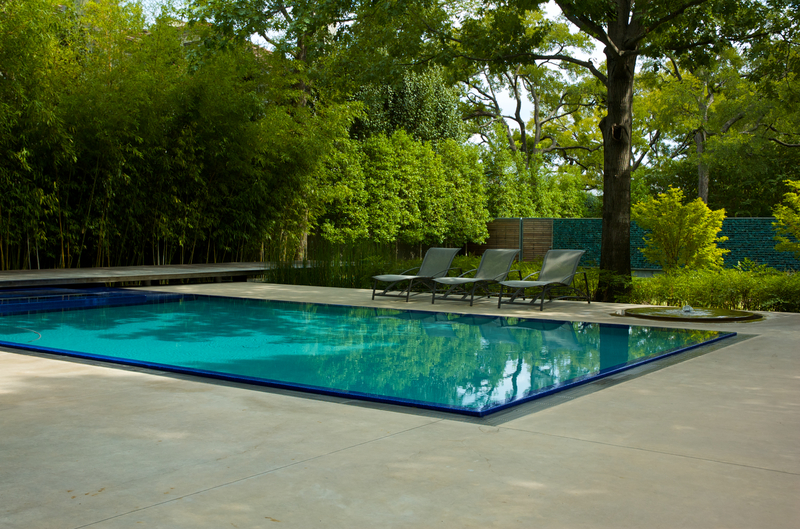 The interior concrete floor seamlessly extends out surrounding the swimming pool. 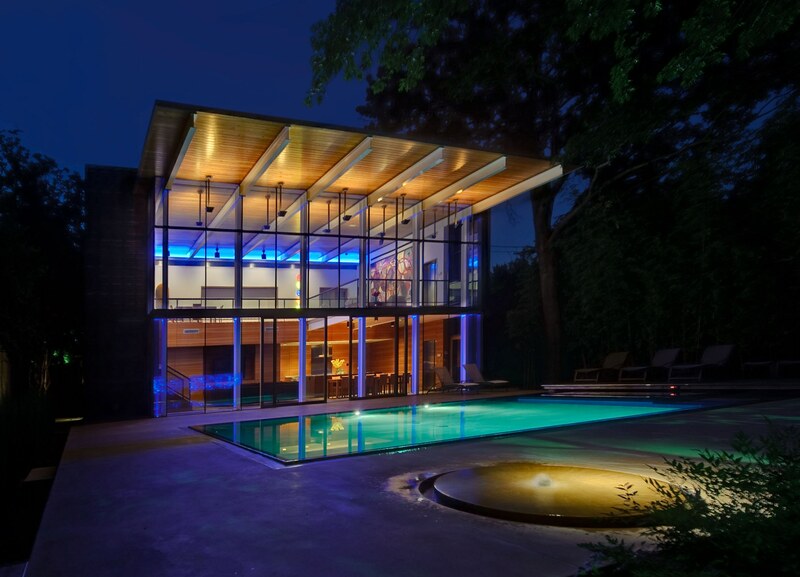 The pool hovers one inch above the concrete deck with an infinity edge around the perimeter. 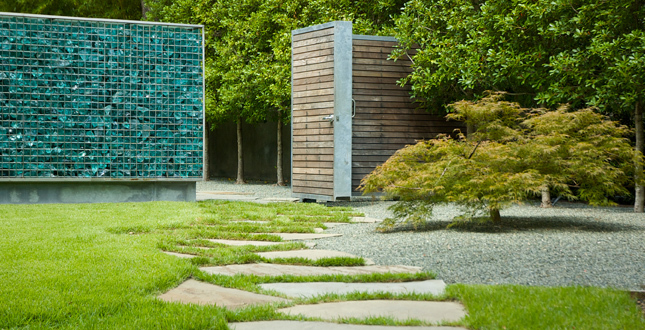 The water hugs the glass-tiled edge, and disappears below a stainless steel grate. 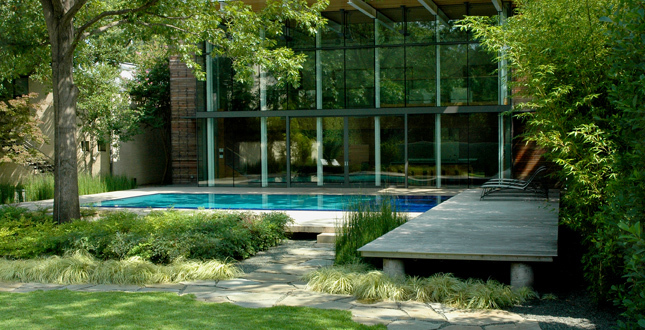 A sunning deck extends out over the pool into the garden beyond. 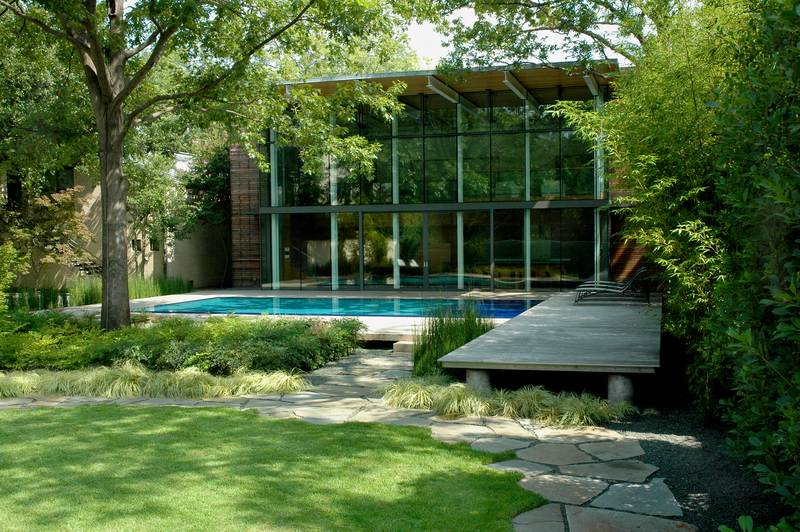 The ipe wood decking compliments the skin of the Pool House, and creates a very strong visual connection from the pool deck to the garden. 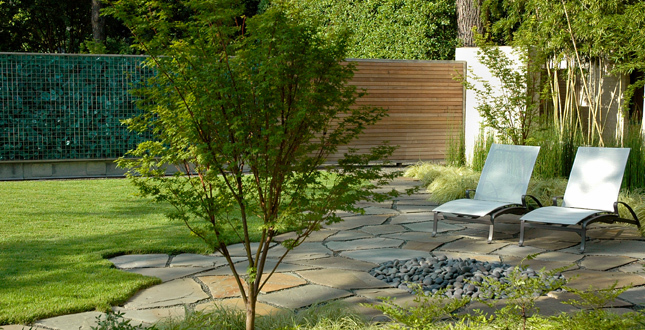 A small water feature cast into the concrete deck provides subtle noise to eliminate any distractions from beyond the garden walls. 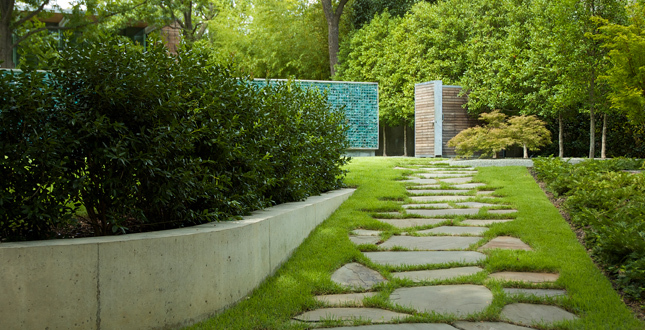 Large stone slabs become "connectors" throughout the site, and provide transition from space to space. 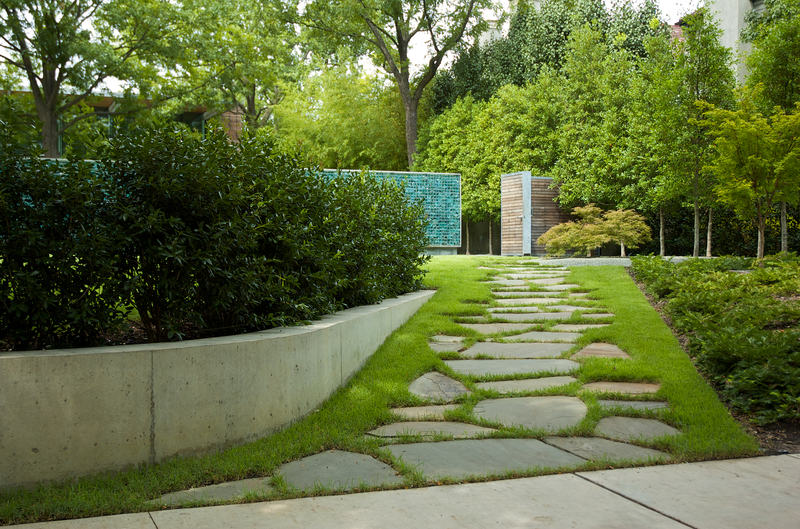 These organic, sinuous pathways culminate, and encircle a fire pit. 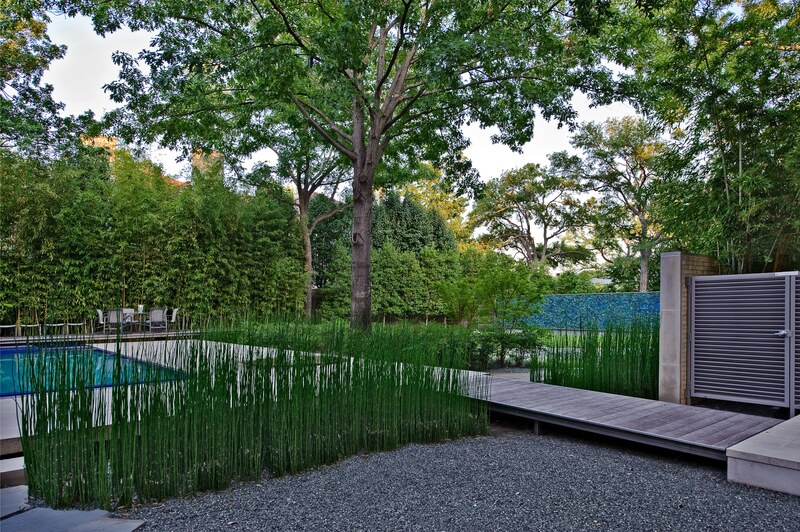 A minimal plant palette creates mass plantings used for large textural impact and screening for privacy.